Like the game we play and love, Callaway is classic. 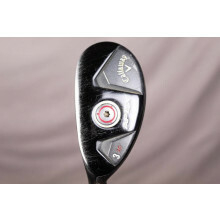 The understated yet dominant symbol invokes a sense of confidence in the player, reminding them that the game is to be revered but also approached as simply as possible in order to be victorious, as the Callaway "V" suggests. 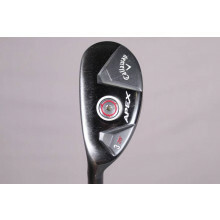 Callaway brilliantly combines history, success, achievement and relevance with their line of equipment, as well as their pro staffers. From legends like the King himself, Arnold Palmer, and Phil Mickelson, to rising stars like Henrik Stenson and Patrick Reed, Callaway represents itself as one of the finest golf outfitters in the world. With redesigned throwback drivers like the Big Bertha and the ultra-performance Mack Daddy 2 wedges crafted by Roger Cleveland himself, Callaway doesn't sacrifice perfection on the altar of history or tradition. Whether at the US Open or a back-country road driving range, Callaway effortlessly combines the strength of the future with the grace of the past.